Michael Garside Principal / Business Owner “Invaluable knowledge of past, current and future trends in the local real estate market” Michael has 16years’ experience working in the real estate industry, with 14 years at Harcourts Dapto. As Principal and Business Owner, he has experience, tenacity and pro-activity; along with quality negotiation, leadership and communication skills. Michael leads his team by example, providing superior service which stems from the belief that a successful real estate transaction comes from the ability to listen, understand and clearly and effectively communicate with clients. Clients are the number one priority and it is considered imperative that they receive a positive experience when dealing with Harcourts Dapto. His extensive real estate experience and local market knowledge means he can offer clients invaluable knowledge when it comes to the past, present and future real estate market trends. Michael extends his vision and values throughout the office to offer a highly professional service that is both reliable and honest. Awards include Harcourts NSW Gold Sales Award 2014, 2015 & 2016; Harcourts Diamond 100 pin ($100 million in sales); Illawarra South Coast Business Person of the year 2014; and Wave FM Illawarra Boss of the year 2012. He has also been on the speaking panel at the Harcourts National Conference in 2012 and 2016. Away from the office, Michael is active in Walk a mile in their shoes (Supporting White Ribbon Australia), Sponsoring Dapto Canaries Football 1st Grade, and St Johns Catholic School sponsorship. Ben James Sales Consultant “Taking the stress out of selling” Ben has been working in the real estate industry in Australia for six years, and has been employed with Harcourts Dapto for that time. Ben has won a number of awards, including the Harcourts 40 Million Dollar Pin 2016, Silver Sales Award – 2014, 2015, 2016, Future Leaders Program - Harcourts NSW 2014. Ben’s strengths including negotiation, communication and buyer management; and he adopts a caring attitude with patience and enthusiasm two of his biggest traits. He has a genuine approach when it comes to delivering outstanding client service and has a vast number of quality referrals from past clients. He is committed to getting the best result possible, for every owner, every time. Often headhunted by other agencies in the region, Ben is dedicated to Harcourts Dapto, stating “I've experienced how other offices operate, and it’s easy to say, if I didn't work at Harcourts Dapto I wouldn't work in real estate. The systems and process the office uses when selling a home allows me to exceed my client’s expectations by taking the stress out of selling, and leaving them happy to refer to their friends and family. That’s a company I want to work for.” Outside the office, Ben is involved with charity dinners with Illawarra Association of Freemasonry, sponsorship of Soldier On and Camp Quality, MasoniCare donations for local contributions in the Illawarra, Jeans for Jeans Day, and Camp Quality Annual Golf Day. Luke Hughes Sales Consultant “A positive outlook and a passion to surpass client’s needs” Luke has been working in the real estate industry as part of the Harcourts Dapto team since 2015. Prior to this however, he worked as a tradesman roof tiler; so the property / building industry is not new to him. Luke has invaluable knowledge of the industry and the region, having grown up in Illawarra. He has a strong work ethic and brings along a lot of positive energy to all interactions. He has excellent people skills, offers high level customer service skills with a friendly and helpful attitude, is a great communicator and always works in a professional and ethical manner. He has won a Certificate Of Excellence recognition award from Harcourts New South Wales, and is a strong team player, believing that working as part of a good team achieve the bests results. Luke is a hard working “all-rounder”, with a positive outlook and a passion to surpass all his client’s needs and expectations. He manages his time effectively to the benefit of his clients so he can achieve maximum results. Outside the office, Luke enjoys surfing and searching for the “perfect wave“. He is involved in Walk a Mile in Their Shoes, A.P.O.F Rugby League Club, Jeans for Jeans Day, K-Mart Giving Tree and Dry July Foundation. 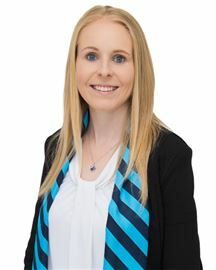 Aimee Nicholls Property Manager & Office Manager “Top shelf customer service and 110% commitment to all tasks required” Aimee has 12 years’ experience working in the real estate industry and has been with Harcourts Dapto since 2004. She is a licensed Real Estate Agent and has experience in all facets of the business, including working in reception and sales administration; before taking on her current role as Property Manager and Office Manager. Aimee has been recognised in the National Property Manager Award in 2006, along with the team, and received the Customer Service of the Year Award in 2010. Aimee is highly valued and is an all-rounder and expert in many aspects of the Harcourts Dapto business operations. Michelle Turner Property Manager “A hardworking approach to property management” Property Manager of the Year in 2013-2014, Michelle has been working in the property industry in Australia for 18 years and has been with Harcourts Dapto for over 3 years. She has experience working in a range of roles, including reception, sales administration and sales Personal Assistant before taking on her current role as Property Manager. Michelle’s approach to her role in Property Management is hardworking, well managed and results in exceptional outcomes. In 2013-2014, Michelle received the New South Wales Property Manager of the Year Award and has received a number of other awards for Property Management throughout her time with Harcourts. Michelle is an excellent communicator with strong organisational skills. Her positive and proactive approach to her work ensures her clients continue to receive the best outcome for their property. What a Block! Be Quick! Rare Duplex Lot! Be Quick! Snap This Great Home Up! Meticulous & Ready To Move In! Spread Out Here, Huge Block! Value Villa - Investor Alert!